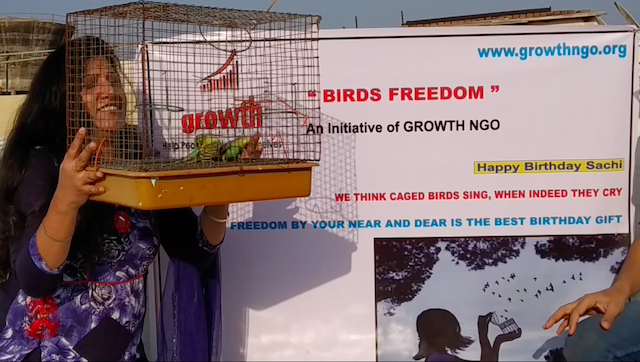 “GROWTH NGO” has started the project called "Birds Freedom" under which we will celebrate the birthday of one person every month for Free, in which he/she will liberate these birds from their hands. For that, he/she will have to call us and tell 10 days before birthday. After celebrating 1 person's birthdays for free, if someone wants to celebrate the birthday of their loved ones in the same month, then they have to give some money to the institution as a donation to arrange the event. 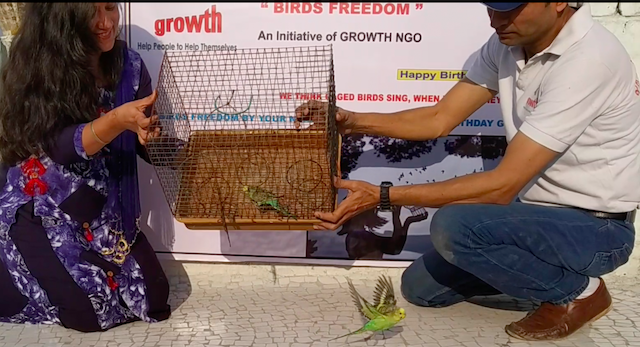 After celebrating your birthday we will upload photos and videos of your "Birds Freedom" event to our website and social media. So that people get the awareness of doing this noble work. Friends, Increase the enthusiasm of our Organization "GROWTH NGO" by supporting us for this noble work so that in today's era, People get Aware to do such kind a noble work for the others.